Essentia: Get 25 ESS tokens from the Swiss modular framework! Anyway, I’ll try to keep it simple. And if you have further questions about this, feel free to contact them! Basically, it’s a structure that enables decentralized and centralized resources to communicate together. And it gives users the full control and ownership over their data, IDs, information, privacy and assets. And it guarantees that only the user has access to their personal data, IDs, setups, preferences, wallets etc. From anywhere on the planet! So with Essentia, you can easily connect and use on-chain, off-chain and cross-chain services or resources in a secure, private and reliable environment. Essentia tokens, or ESS tokens, are ERC20-based ethereum tokens. And I’ve read their token utility document. But I couldn’t find out what’s the total supply of ESS tokens. Only that after their ICO period ends, they won’t create additional ESS tokens. ESS tokens will enable a number of key functions on the framework. And they’ll implement them on an incremental basis. meaning that what I’m talking about below will not be ready from the beginning of the project. How to get the free ESS tokens? In addition to their ICO, Essentia offers a crypto-airdrop. And to join the coin airdrop, you need to click here. Then click on the login icon (the one with a user, in the main menu). And click on Create one right now to register a new account. Fill in a valid email address and click on Join. Now you need to activate your account, by clicking the link in the confirmation email. Also, you’ll find in this email the password you need to connect to your account. Finally, you need to complete a minimum of 3 out of the 8 tasks to get 25 free ESS tokens. And if you want to participate to the ICO, you can complete them all to get an early access. 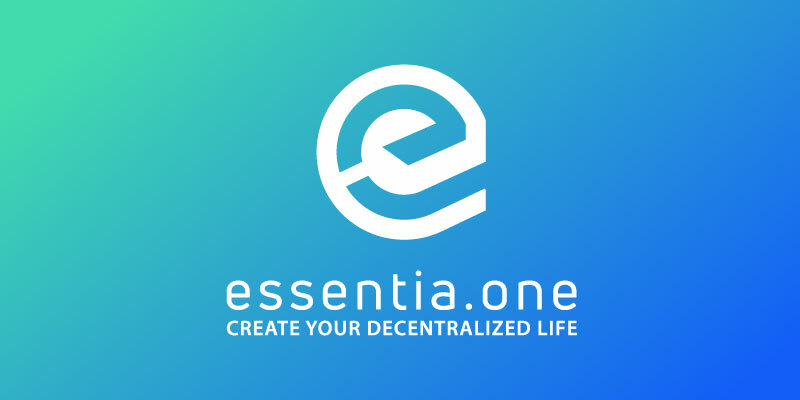 Essentia is a masternoded, multi-chained, set of protocols which connects centralized and decentralized resources. With the objective to create new powerful interactions and experiences. And they're giving awayfree tokens. Claim yours now!